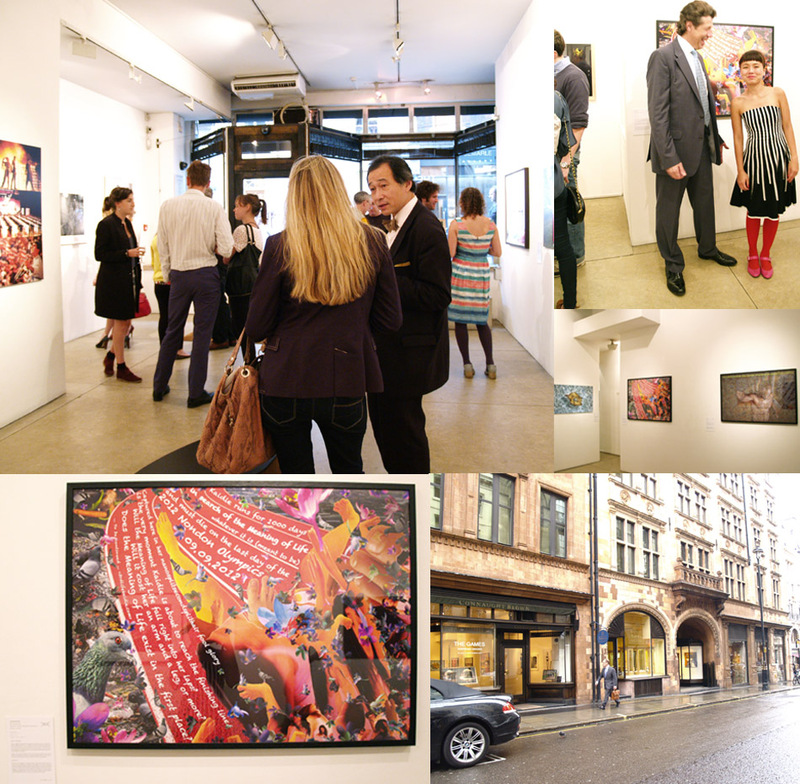 Thank you for attending the Private View of The Games – Inspiring Images at Connaught Brown on the 18th July 2012, at W1H 4SD in Nondon. Pictured here is the Kaidie’s 2012 Nondon Olympics Photo Finish in its fool glory, in action, in situ. To the left of the work is that by runner-artist Jun Nguyen Hatsushiba, and to the right is that by Jamaica’s Albert Chong. Kaidie is shot here, nearly photo-finished, with the director of the gallery, Mr. Anthony Brown. Edition one is sold, with Kaidie’s broken toe nail and all, and to be displayed in the living room of the buyer soon. 4 more to go / come your way. Hurry, bye one, get one (not free)! This entry was posted on Friday, July 20th, 2012 at 13:47	and is filed under GIGS & EVENTS, NONDON A-Z, THE LAST (FINAL) 60 DAYS. You can follow any responses to this entry through the RSS 2.0 feed. You can leave a response, or trackback from your own site.